Inside Get Growing! 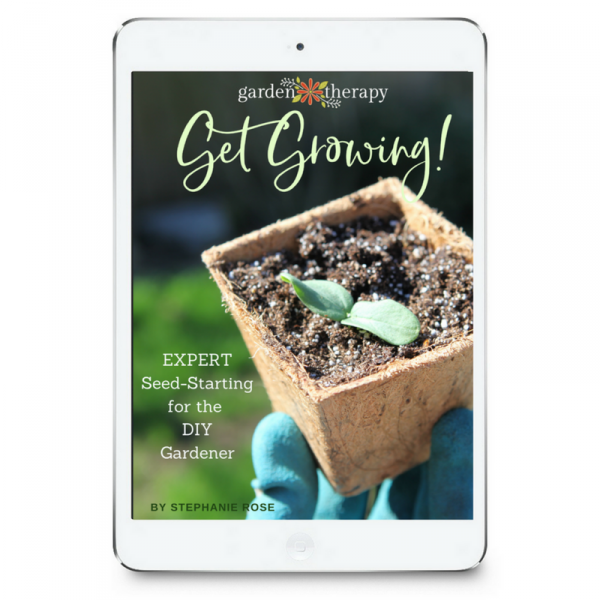 Expert Seed-Starting for the DIY Gardener, you will find everything you need to know about starting seeds both indoors and outdoors, with helpful advice every step of the way, from buying your seeds to germination to caring for your plants as they reach full maturity. You’ll also find out how to grow all sorts of different plants from seed, including vegetables, both annual and perennial flowers, and even lawn. Imagine all that you can create with just a tiny seed! Throughout the information-packed pages, I have included a ton of DIY projects that will help you give your seeds their very best start possible. This includes a bunch of easy-to-make plant markers and seed-starter pots as well as an indoor shelf for growing salad greens all year, plus a guide to the various seed-starting supplies and equipment out there and how to choose what’s best for your project and your budget (hint: some of the best seed-starting containers can be found in your recycling bin!). Get your copy today and let’s get growing together! The secret to growing a healthy, lush garden all begins with a single seed, which is why I’m so excited to launch my new eBook Get Growing! 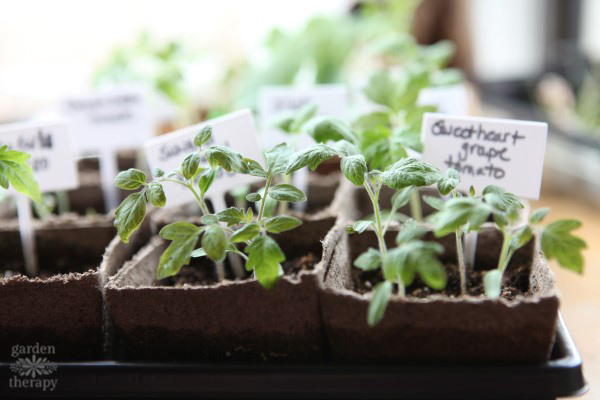 Expert Seed-Starting for the DIY Gardener. I start my garden early from seed every year and would love for you to join me! Whether you are a seasoned gardener or a complete beginner, growing a garden is good for everybody. It feeds the soul and the soil, and can even feed your family. I’ve been writing this book for many years. Each season, I grow a bit more as a gardener and learn more about seed-starting and I’ve used that to make this a great book for the DIY gardener. Even with years of trial and error behind me, I still felt like I wanted to be absolutely sure that this was the best advice that I could share to help start your garden off on the right seed. So, I asked the experts at GardenTrends to review it and give me feedback. GardenTrends is the home garden website for Harris Seeds, and they have been growing and selling seed for over 130 years! When I had the opportunity to meet the people behind the seeds and tour the trial gardens last September, I walked away completely impressed! They do a ton of testing and quality control, so they really do know the best way to start seeds as well as what equipment to use. Not only that, but they have experts in vegetables, flowers, organics, and more who helped to shape the seed lists on the pages of the book. I know that you will find this book extremely helpful in starting your garden from scratch this year, and I can’t wait to Get Growing! with you. This is an eBook which will be delivered in PDF format. You will get an email with a link to download your book on the release date and you can then instantly read it on your computer, smart phone, or tablet. You will need Adobe Reader to view it on your computer, which you can download for free here if you don’t have it yet. If you choose to, you can also print the book and keep it as a hard copy, although the links in the book can only be accessed through the digital copy (so make sure you hang onto that! ).